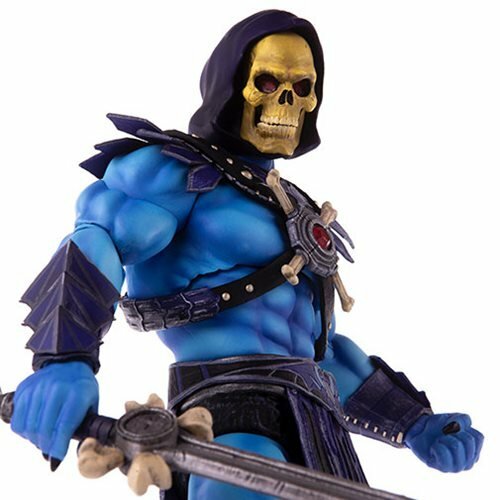 "I must possess all, or I possess nothing!" 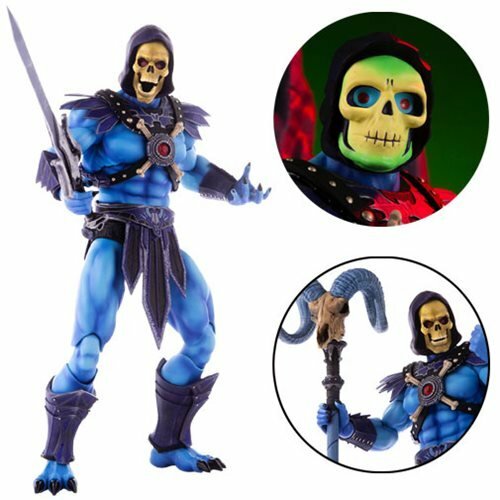 The most-evil action figure this side of Snake Mountain! 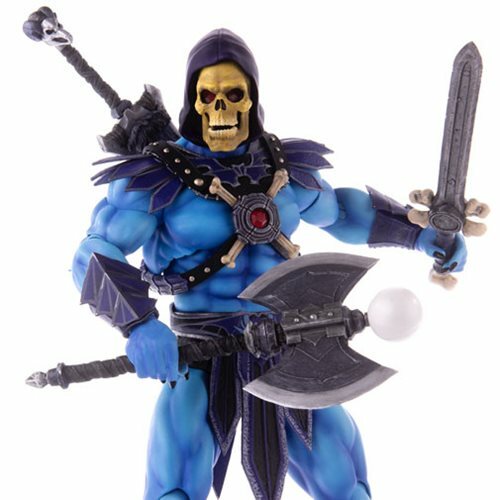 He-Man's archenemy Skeletor stands 12-inches tall. 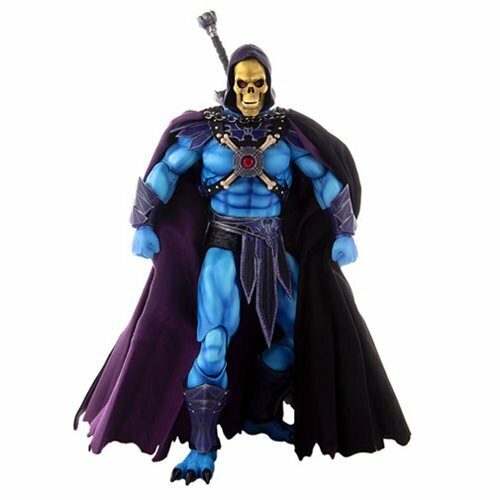 Features interchangeable hands, 30+ points of articulation, a fabric cape, and a bunch of accessories! 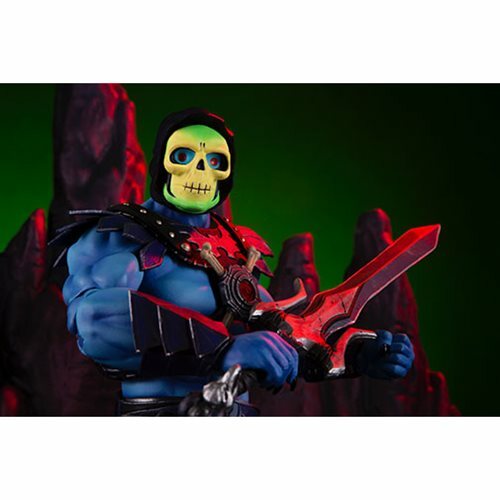 Based on Masters of the Universe. 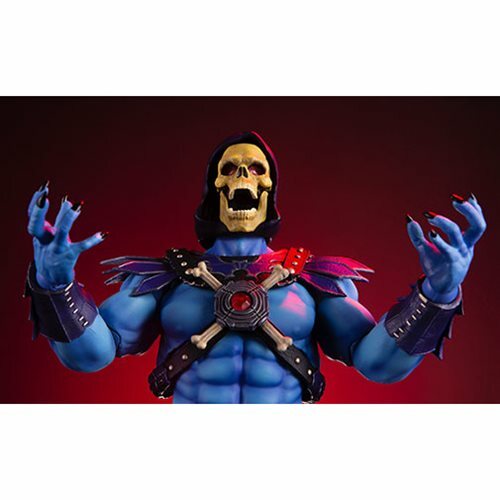 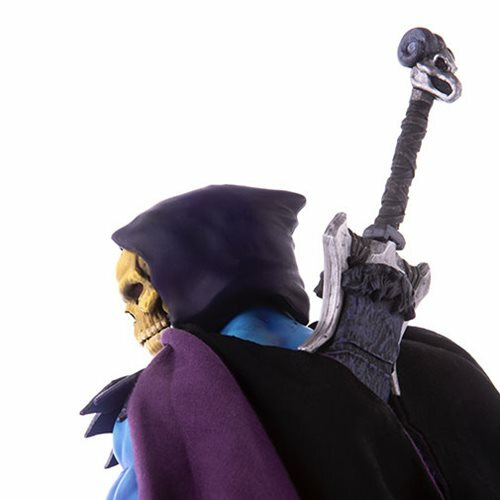 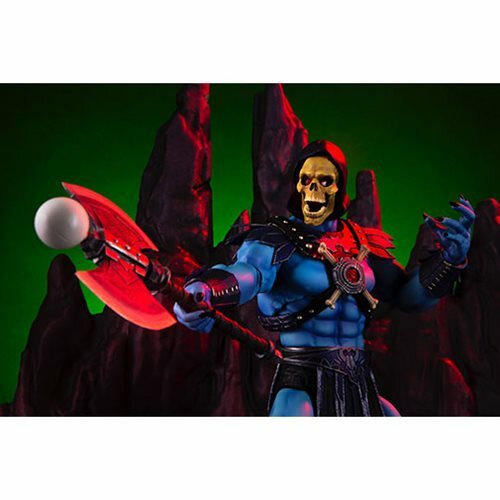 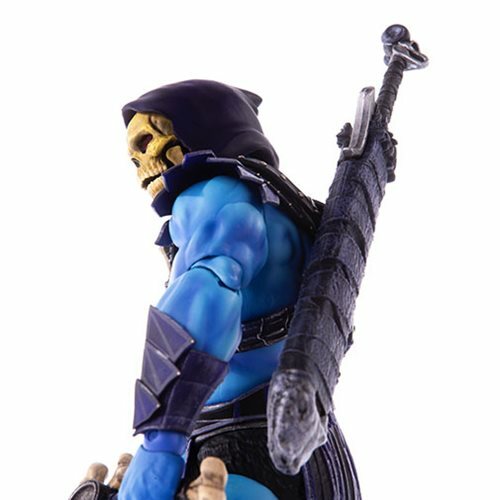 From Mondo, comes this incredible Masters of the Universe Skeletor 1:6 Scale Action Figure! 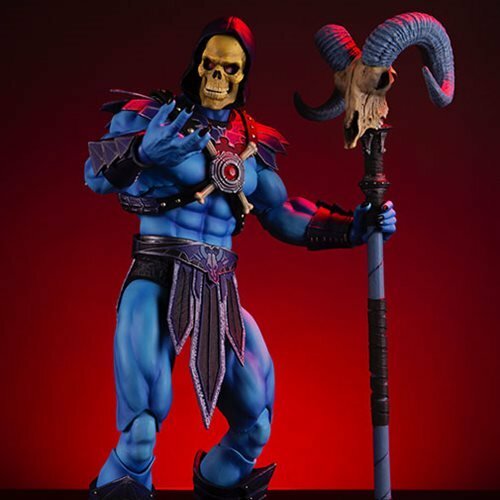 The 12-inch tall figure of He-Man's archenemy is the second in the1:6 scale line based on Masters of the Universe. 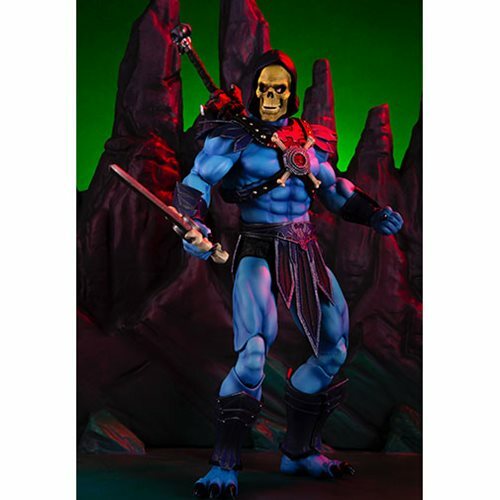 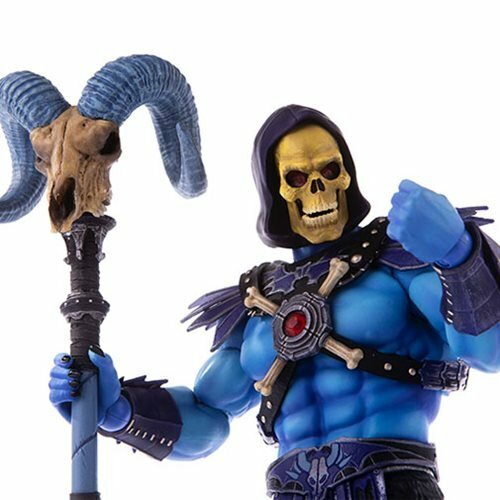 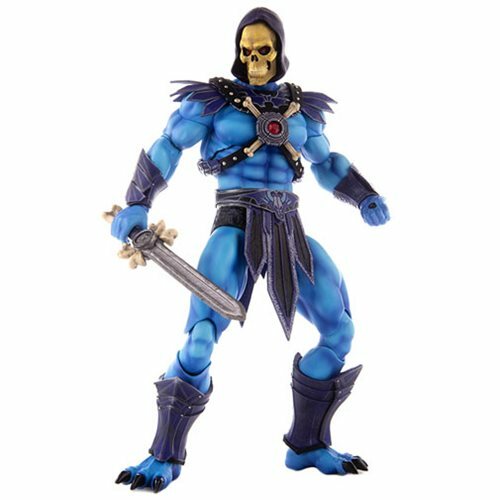 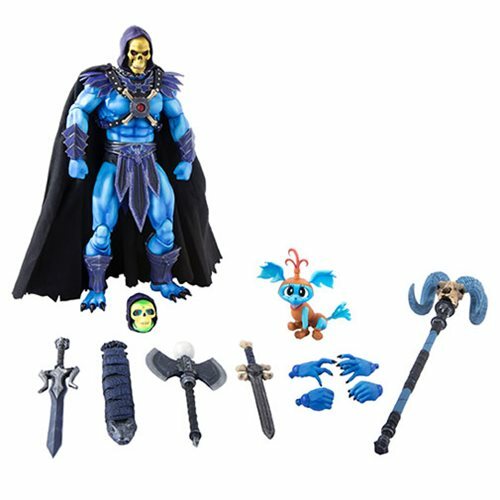 He features interchangeable hands, over 30 points of articulation, a reversible fabric cape, and a bunch of accessories, making this Skeletor the most-evil action figure this side of Snake Mountain!